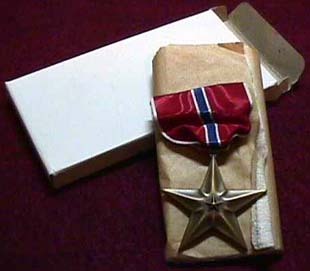 This is a Bronze Star which is in mint condition. It is brand new in its box of issue, complete with the protective wrapping. It came from a larger box marked December 30, 1944. I only have a few of these left. This is the medal only. No service/campaign ribbon came with this lot. 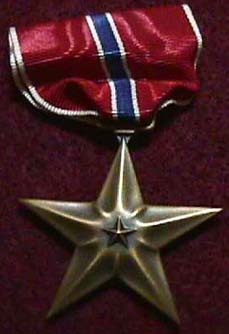 The Bronze Star Medal was established by Executive Order 9419, 4 February 1944 (superseded by Executive Order 11046, 24 August 1962). 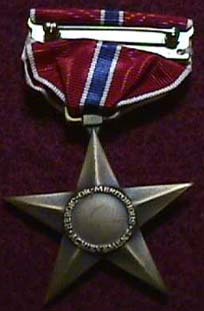 It can be awarded to any person who, while serving in any capacity in or with the Army of the United States after 6 December 1941, distinguished himself or herself by heroic or meritorious achievement or service, not involving participation in aerial flight, in connection with military operations against an armed enemy; or while engaged in military operations involving conflict with an opposing armed force in which the United States is not a belligerent party.